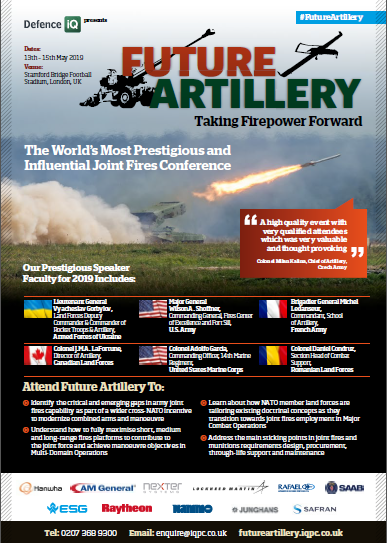 Over the past 12 years Future Artillery has become the annual meeting for the global artillery community. Download the brochure below for a full list of speakers and topics. Don't like filling in forms? Email us at enquire@defenceiq.co.uk and we'll send you a copy. Don't like downloading forms, just send us an email to enquire@iqpc.co.uk or call us on +44 (0) 207 036 1300 for a copy.